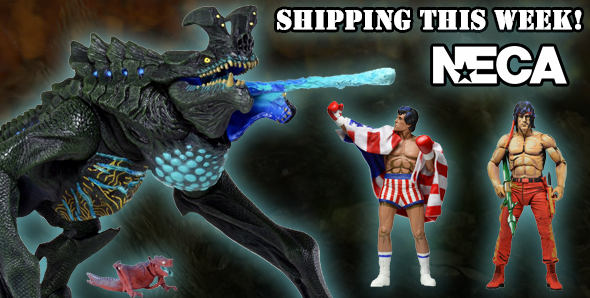 Toy Fair is barely over and already we’re shipping three limited edition releases to retailers: Deluxe Otachi, Classic Video Game Rambo, and Classic Video Game Rocky! Check out the images below, and look for them on store shelves soon. Click the thumbnails for larger images (or right-click a thumbnail to open it in a new window). This massive, extra-detailed figure measures nearly 18″ long and almost 7″ tall, and is to scale with our Jaeger action figures. 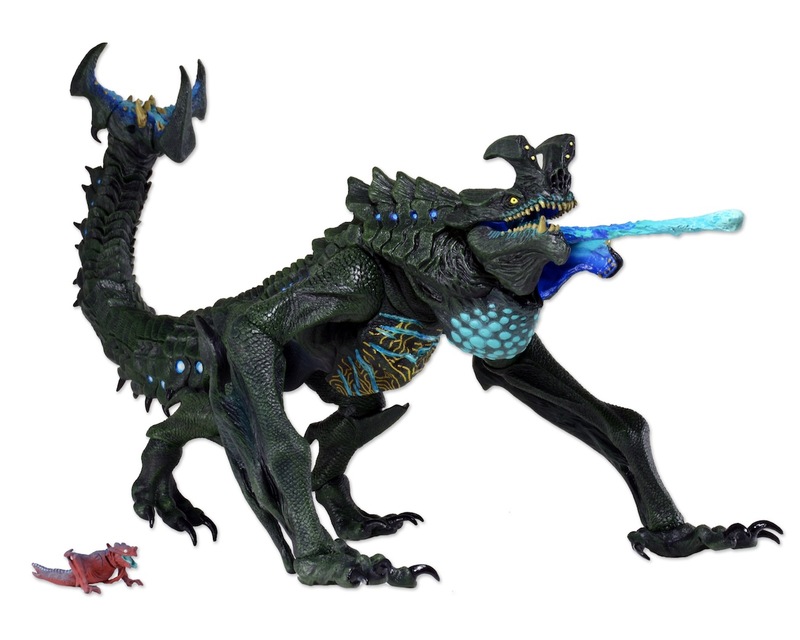 It features over 30 points of articulation, including a fully articulated tail, plus an interchangeable tongue that can be removed to equip a sculpted “acid spitting” effect, and a bonus “Baby Otachi” figurine. 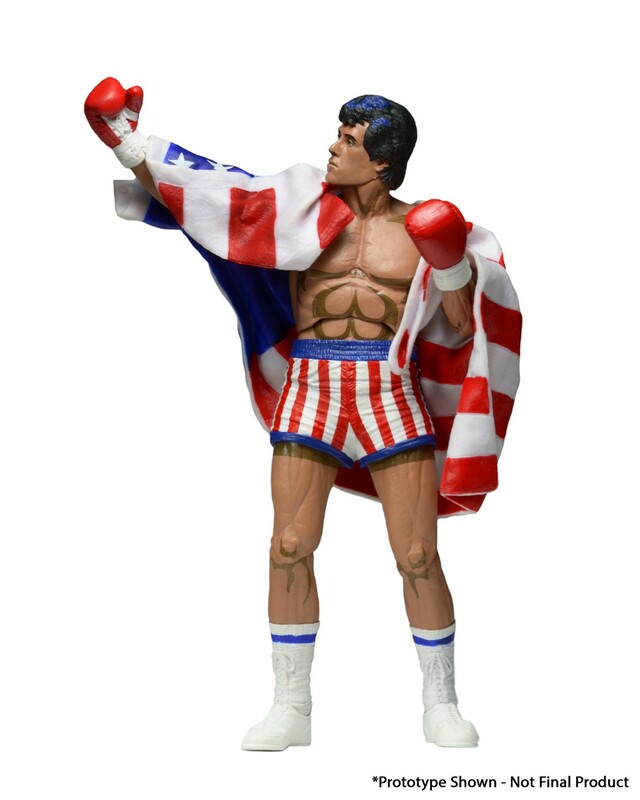 NECA’s ROCKY (1987 Video Game Appearance) is a fully articulated 7-inch tall figure with removable American flag that can be draped over his shoulders. Featuring over 20 points of articulation and painted in a stylized approach with a hint of cel shading. 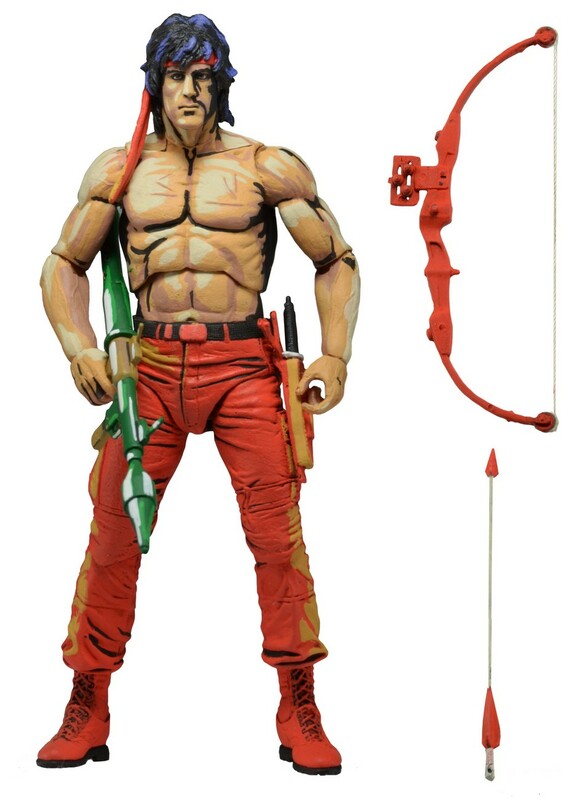 Rambo stands 7″ tall, with over 25 points of articulation for great poses, plus rocket launcher, knife, grenade and bow and arrows accessories. The paint deco takes a stylized approach to reproduce the game’s original cel-shaded look. Shipping This Week – Rocky and Mickey Puppet Maquettes!